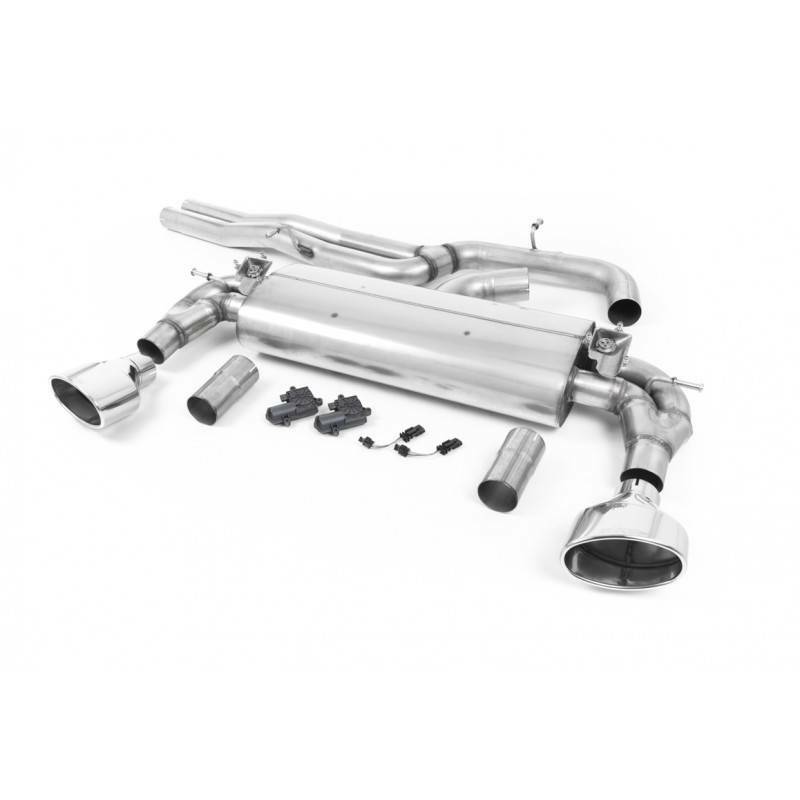 This aggressive cat-back exhaust features dual pipes in to 3" polished dual stainless steel throughout the entire exhaust to mate to your factory secondary catalytic converters. Valving is included to work with the factory sport system along with new motors and plug and play wiring adapters. 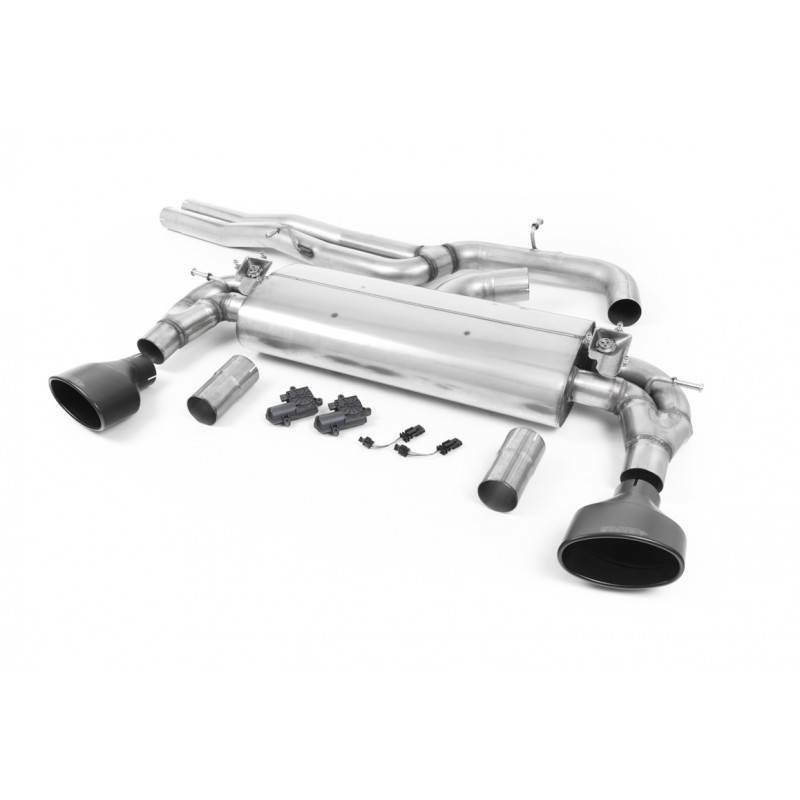 Exhaust finishes with chrome or black oval exhaust tips.